Rally Championship in Latvia the 2013. 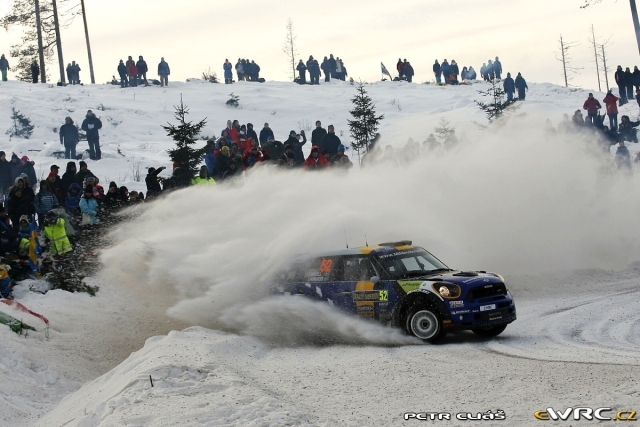 That Round 2 of the 2013 FIA European Rally Championship will be held in Latvia on February 1–3. With RA Motosport Association as the official organizer. Rally Liepaja-Ventspils will not only be Round 2 of the FIA European Rally Championship (ERC) but also the first two rounds of the Latvian Rally Championship. Crews from Latvia and abroad will face a demanding drive of 240 kilometers along the snow and ice covered Kurzeme roads. The sportive format of the ERC will undergo some significant changes because of an agreement between the World Motor Sport Council (FIA) and Eurosport Events for Eurosport Events to become the promoter of the FIA European Rally Championship from the 2013 season onwards in a ten-year deal. Eurosport Events is known as the creator and promoter of the successful Intercontinental Rally Challenge (IRC) considered the second most remarkable rally championship in the world. From now on, the two championships (ERC and IRC) will be merged based on the IRC format, thus opening up a remarkable and exciting rally season for spectators. Taking place all over Europe, the championship will feature competition on all surfaces and will be broadcast on Eurosport in 59 countries worldwide. The 2013 ERC calendar is still to be confirmed by the FIA, yet the draft provides for that the new series will open with the Austrian-based Ja”nnerrallye on January 3–5, followed by the winter rally in the Kurzeme region, Latvia. The Rally Liepaja-Ventspils will be given its official kick-off on February 1 with the first stages covered near Liepaja. On the second day, the rally will slowly move towards the north until it reaches the vicinity of Ventspils. The final rally day will be spent near Ventspils holding the awards ceremony there, as well. “Round 2 of the European Rally Championship in Latvia is a natural continuation of Liepaja to tread the path it stepped on in 1956 when my father, the enthusiastic car racer Martins Sesks, established the rally culture in Liepaja. Liepaja has already gained experience in organizing rally events at the Latvian, former USSR and European level, so I am very pleased that next year Liepaja will have the opportunity to host a round of the European Rally Championship that will draw together many top-level racers and rally fans,” Liepaja Mayor Uldis Sesks told. “We are pleased that one of the rounds of the European Rally Championship is taking place here in Latvia with Ventspils among the host cities. Ventspils has always supported great, interesting ideas for good ambition. Hosting and organizing an event at such a large scale is a serious debut on the international stage, which will ensure that names of Latvia and Ventspils are heard far beyond Latvia’s borders. We wish the organizers all the best for successful work planning,” Chairman of Ventspils City Council Aivars Lembergs said. The official car for the Rally Liepaja-Ventspils is Volkswagen; starting today, the organizers will drive two Golf 6 R-line automobiles. 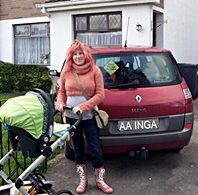 As soon as the rally approaches near, another 14 VW cars will be conferred to the organizers to be used both by Eurosport Event representatives and FIA observers. Rally fans are not only offered to spectate at the Rally Liepaja-Ventspils in the designated spectating areas but also follow the latest news on Eurosport, which will air a broadcast about the Latvian round at the end of each rally day and an event summary on Tuesday. Besides, the above broadcasts will be re-aired on TV6 in Latvia, Lithuania and Estonia. 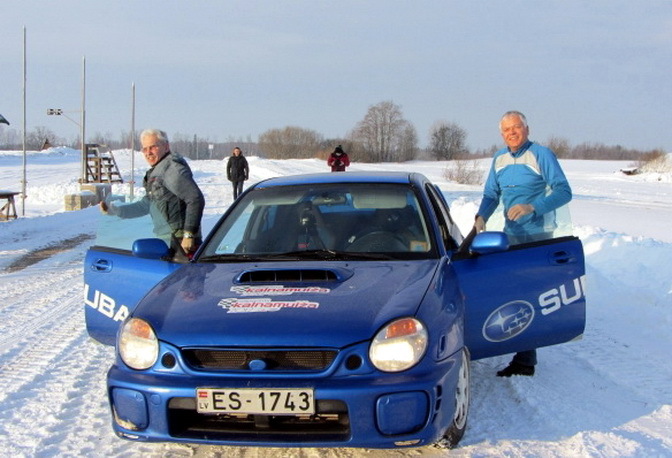 For further information about the Rally Liepaja-Ventspils, please go to www.lvrally.com. 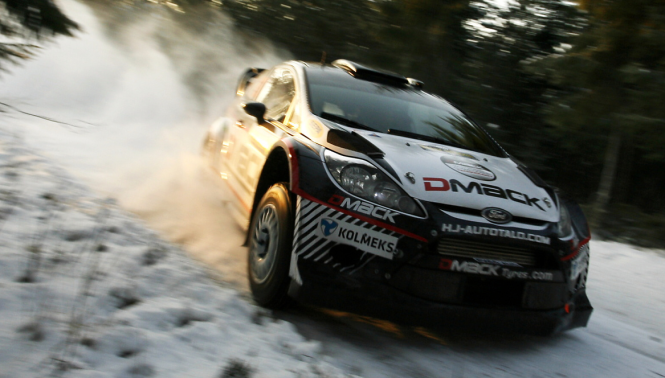 At the beginning of February Latvia will host one of the hottest winter sports events of this year — the 2nd round of the FIA European Rally Championship; it will gather the European rally sportsmen elite and will be broadcasted on the TV in 59 states around the world. In order to prove that auto sports, especially rally, is very popular sport in Latvia and that organization of the round of the FIA European Rally Championship exactly in Latvia is not coincidence, but logical outcome, the rally organizers have announced the social campaign „Let’s go to rally!”, and all Latvian rally fans are invited to participate in it. “With this campaign we would like to address all inhabitants of Latvia and rally fans to prove that our fans indeed are the best and the most enthusiastic ones, that cannot be found anywhere else,” says the leader of “Rally Liepāja-Ventspils” organizers’ team Raimonds Strokšs. During the campaign anybody is invited to be creative and to submit photos with themselves and things and persons, without which rally viewing is unimaginable. The submitted photos will be used for creation of the picture album of rally fans. The photos are to be sent to the e-mail fans@lvrally.com or added to your post in the social network Twitter with a message “Lets go to @LVRally”. After receipt the photos will be selected and their compliance with the moral and ethical norms of the society will be checked, as well as it will be verified whether the photos are not insulting and can be used for public information purposes. If your photo corresponds to the requirements, it will be posted in the home page of “Rally Liepāja-Ventspils”, as well as in the social network Facebook facebook.com/lvrally, where everybody will be able see themselves and other rally fans. Everybody having submitted the photos till 4th February will participate in the lottery of a surprise prize. The most witty and interesting photos will be offered for valuation in the social network Facebook, and the winner will be established by the viewers vote. We invite you to take part and to become one of the participants of “Rally Liepāja-Ventspils” fan movement. Let’s go to rally! By submitting the photos you agree that the right of use is transferred to the organizers of “Rally Liepāja-Ventspils” — the Association “RA Motosport” — and that such photos can be used for promotional purposes. “Rally Liepāja-Ventspils” organizers do not guarantee that all photos submitted will be used during the social campaign “Let’s Go to Rally”. You are kindly advised not to submit photos in conflict with the ethical norms and/or law. Please, submit photos at the highest quality possible. Everybody having submitted the photos till 4th February 2013 will participate in the lottery of the surprise prize. Let’s go to rally ! Previous Previous post: Michael Grab the Art of Rock. Next Next post: Girls of Namibia.